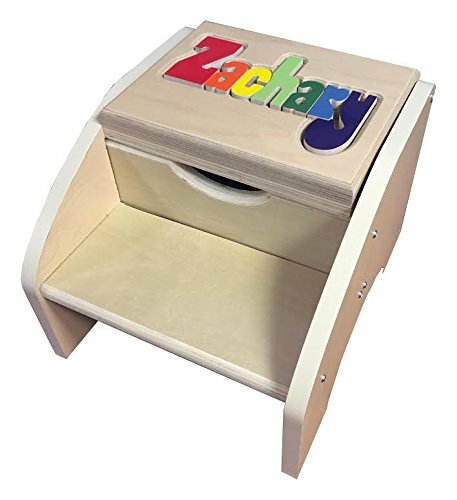 Reach Higher Your child will reach even higher with this two step name stool. Kids love to stand on things to see how tall they are, why not let them stand taller. Whats great about this stool is that it has a storage compartment to store all of those littel things your child needs. Your childs name is personalized in carved wooden pieces, so he can get to know the letters of his name and how to spell it. This is a safe, fun and educational stool, so many attributes all in one. If you have any questions about this product by aBaby.com, contact us by completing and submitting the form below. If you are looking for a specif part number, please include it with your message.